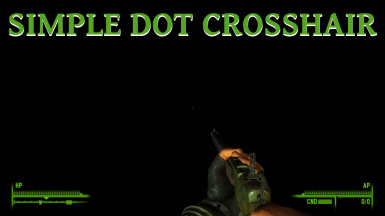 Replaces the default crosshair with a dot. it hard to accurately shoot at distant enemies. I made this simple dot crosshair to replace the default one in my game, and I am sharing it in case anybody else would like to use it. Just drag and drop the data folder I've included into your Fallout 3 directory, and you're good to go!